Worcester’s food trucks are spicing things up for 2018, rolling out a new daily service and a food truck festival. Food Truck Row, a lineup of some of the city’s food trucks, is set to begin March 5. The trucks will be out Monday through Saturday at 40 Highland St., behind the Worcester Auditorium, braving the weather through March. The grand opening of Food Truck Row will be in April. Amid the boom of Worcester’s restaurant scene, Food Truck Row will bring a new selection of fast and affordable lunch options downtown. In May, local food trucks will battle it out for the title of best food truck of 2018. 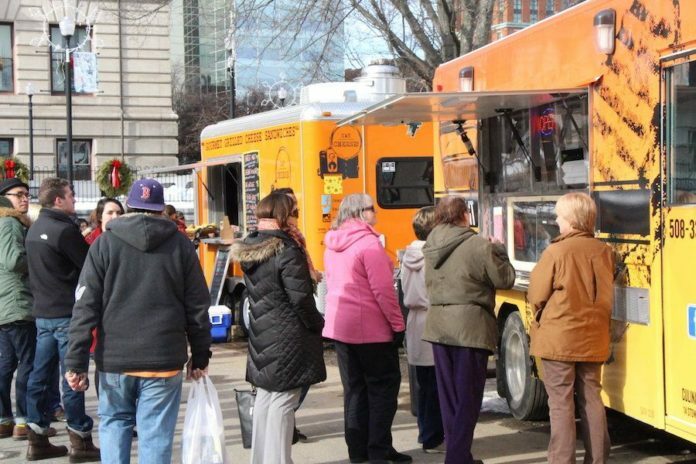 Worcester’s first ever Food Truck Throwdown will be at Green Hill Park on May 5 from 11 a.m. to 5 p.m.
General admission and parking will be free. Voting in the People’s Choice Award category will be $1. A panel of judges of local celebrities and food bloggers are slated to decide which food truck takes the title. 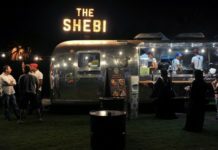 The city’s embrace of food trucks in the past couple of years is a 180 degree turn from 2008 when it enacted tough ordinances that essentially banned food trucks and carts from operating in many locations around the city.